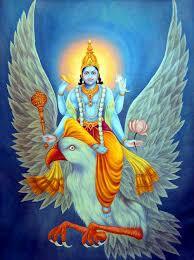 Lord Vishnu strengthens and stables our condition. Lord Vishnu has responsibility to maintain the system. It is necessary to worship Vishnu to get happiness. Lord Vishnu gives Gajendra Moksha. When elephant was caught by crocodile then gajraj has remember lord Vishnu. Lord Vishnu helped gajraj to come out from crocodile mouth. Lord Vishnu listen the true worship. Problem: Donate yellow cloth, turmeric, honey, juicy fruit, yellow flower, ghee and necessary stuff on Thursday. Wealth: Take yellow thread equal to body length and wear it in wrist. Keep it in turmeric water. Wear this thread through idol or veteran on Thursday. Also, donate beasn sweet to needy people on every Thursday. Domestic Problem: Worship banana tree. In evening, light lamp under banana tree from any Ekadashi till next one year. Donate banana on Thursday. You can also donate chickpea. You can feed chickpea halva to poor people. Chant “Om Narayana Namo Namah” to avoid conflict in the home. Write “Om Hari” with turmeric on betel leaf and put in front of lord Vishnu. Apply turmeric tilak with ring finger. Then chant “Om Narayana Namo Namah” with turmeric garland. Debt: Chant Vishnu Sahasranama. People who chant Vishnu Sahasranama, they should avoid having non-veg food and alcohol. They should live normal life. Chant Gajendra Moksha every day. Chant “Om Narayana Namo Namah” daily. Mix turmeric and saffron. Apply its tilak on palm. Donate food to any veteran every day.